Before I share about the contest to win The New iPad and many other prizes (eg. 11" MacBook, Alienware laptop and more), let's check out the new PIKOM ICT Mall CapSquare. 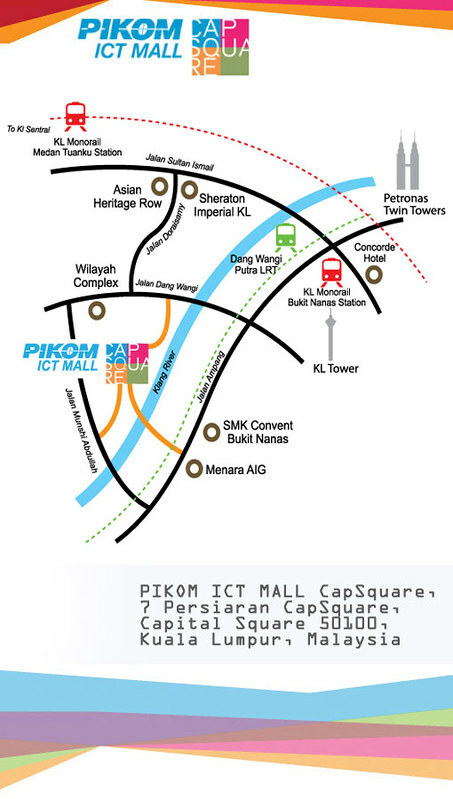 PIKOM ICT Mall CapSquare is part of the integrated CapSquare development by BRDB in mid town Kuala Lumpur. The mall aspires to be a one-stop haven with the latest, most innovative, and widest range of genuine and competitively priced IT products and electronic gadgets. 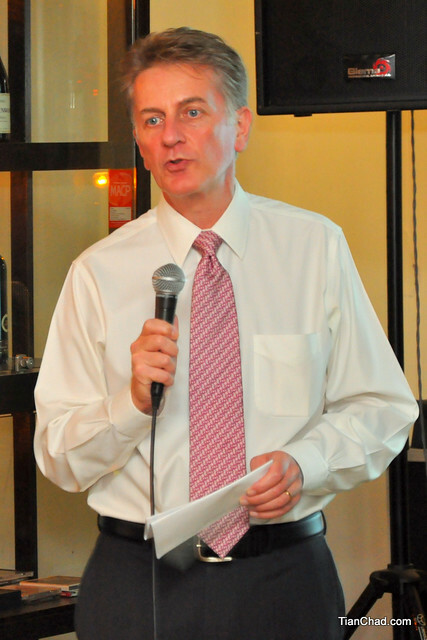 John Sironic, Head of BRDB Group Retail Operations explained how PIKOM ICT Mall CapSquare was formed after a survey done on the local market. This will be a more premium place for people to visit, not only for gadget interest, but also for leisure activities and good food too. 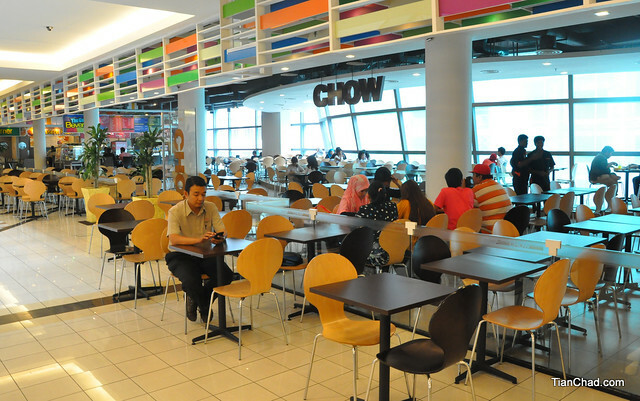 The National ICT Association of Malaysia (PIKOM) initiated the PIKOM ICT Mall CapSquare where retail space is exclusive to its members. This is the first time in PIKOM’s 25-year history that the association is initiating an ICT Mall. It is a major milestone for the association and the mall is part of its on-going initiatives to help spur the country’s ICT retail industry. 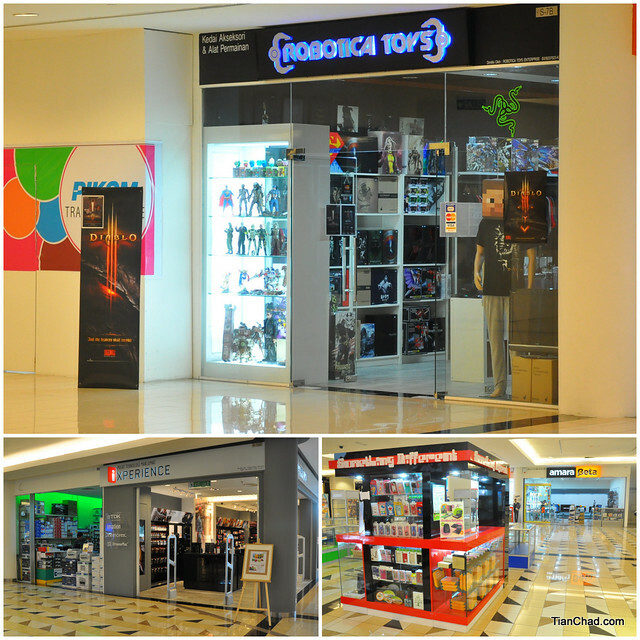 In June 2011, PIKOM entered into a partnership with BRDB to lease the mall’s space to its members for nine years. With an extensive range and perfect blend of retail, restaurants and a cinema, there is something for every taste and interest. The mall also offers well-run facilities of vigilant security and vast number of CCTVs, over 2,000 car park bays, and easy access to the Putra LRT, STAR LRT, Monorail and KTM Commuter. 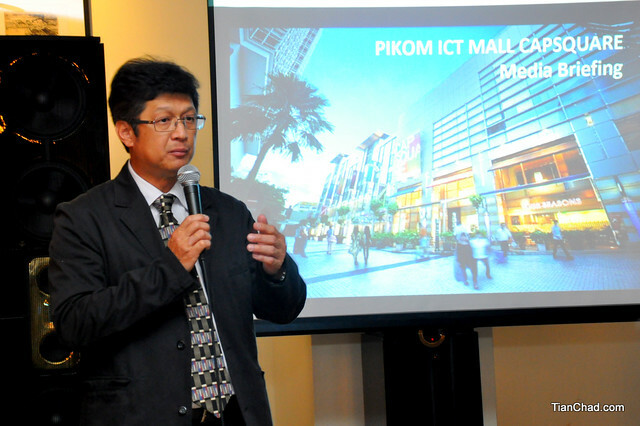 CS Chin, Secretary Chairman (PC Industry) of PIKOM further introduced the new PIKOM ICT Mall CapSquare. He believes that with the new concept stores, it will be another good place for people to shop for latest gadgets in a comfortable place. A total of 135,320 sq ft of retail space has been allocated in the four-storey building. There are altogether 102 kiosks featuring a complete range of ICT products like tablet PCs, notebooks, PC products and peripherals, broadband products, media players, GPS product and Internet TV players. 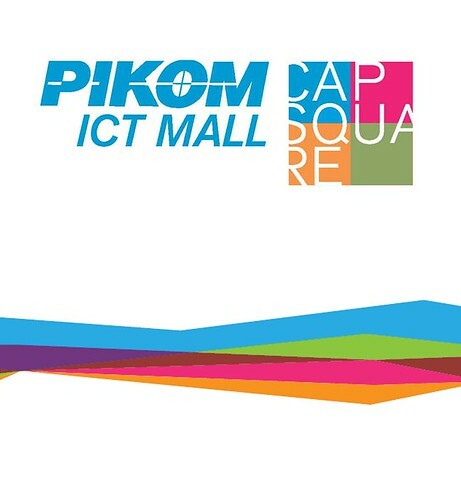 Remember to visit the shops and kiosks during the grand launch of PIKOM ICT Mall CapSquare. Some of the premier brands to look out for are Challenger (largest IT mega store in Malaysia), Canon, iStudy by Apple, Lenovo (latest concept and flagship store in Malaysia), Sennheiser (biggest concept store in Asia), Celcom Blue Cube (latest concept store in Malaysia), Epson (1st concept store in Malaysia), TomTom (1st concept store in Asia), i-Xperience (1st concept store for Imation, TDK and Memorex worldwide). Food court available in PIKOM ICT Mall CapSquare. You can have a quick lunch/dinner before your movie at TGV Cinema which is just one level above. Also within reach are telecommunication retailers such as Celcom, DiGi, Maxis, U-Mobile, plus an array of F&B outlets such as Secret Recipe, Modesto’s, Starbucks Coffee, Subway and Café Magpie. 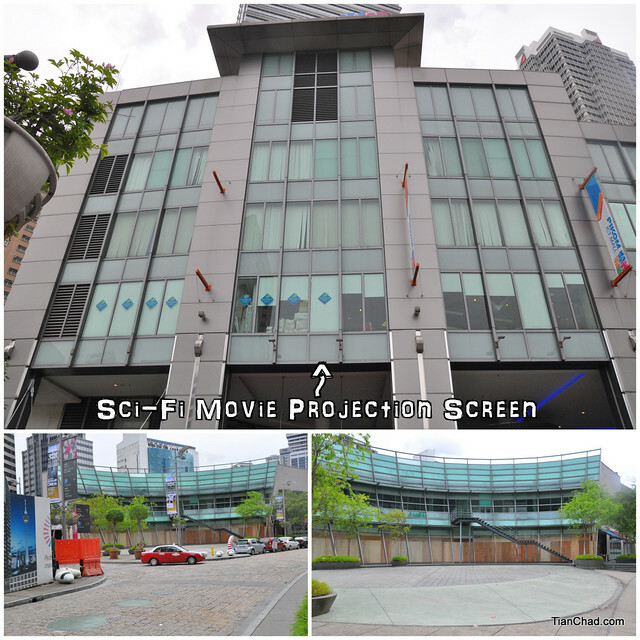 Other outlets are TGV Cinemas and Clark Hatch Fitness Centre. A grand launch carnival will be held from 25th to 27th of May 2012 at the mall, with an array of fun activities and games organized for the young and whole family from 11am onwards. This will be a brand new experience as you can watch your favourite sci-fi movie just outside the new PIKOM ICT Mall CapSquare. There will be food and drinks available around the area and it is open to the public! 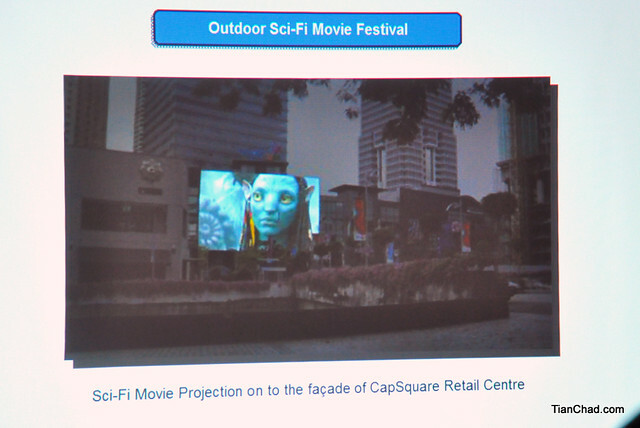 The highlight of the carnival will be the spectacular outdoor sci-fi movie festival where movies like Avatar, Transformers and Monsters Inc will be projected on the mall’s centre’s façade from 8pm onwards on 25th and 26th May 2012.
appearing at the Grand Launch! During the day, the crowd will be entertained by artistes Anuar Zain, canto-pop group ManHanD, Instant Café Theatre and Upin & Ipin. There will be games and prizes to be won throughout the day, hosted by emcee Joey G.
ManHanD will be performing on 26th May. 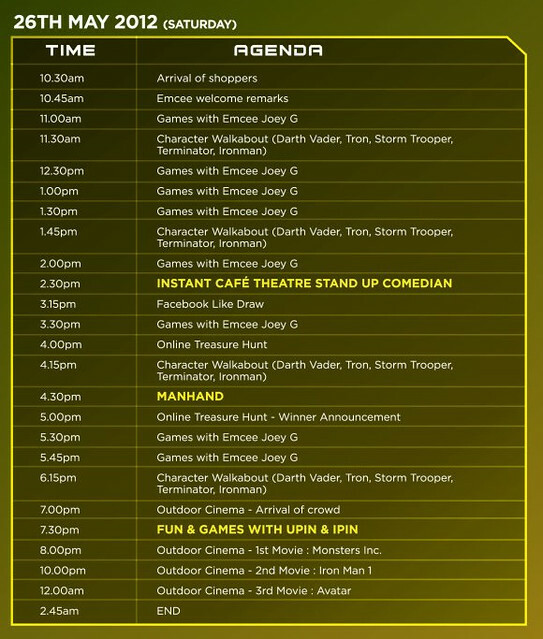 You will able to play game and win prizes with Upin & Ipin and emcee Joey G. Special appearance of Darth Vader, Tron, Storm Trooper, Terminator and Ironman in between the break. 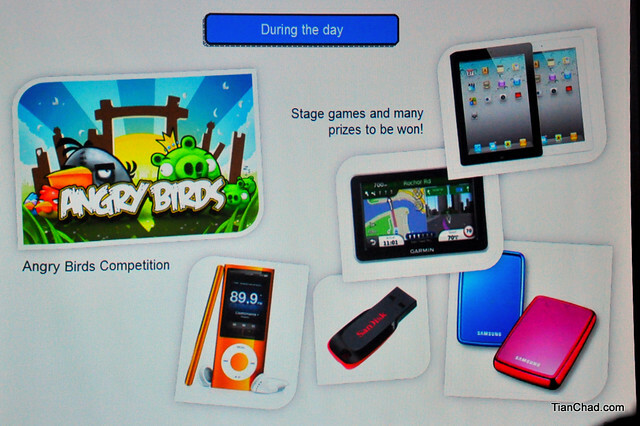 There will be stage games with many prizes to be won!! Early Bird shoppers will get a surprise doorgift of a set of Sennheiser earphones each, limited to first 100 shoppers per day. 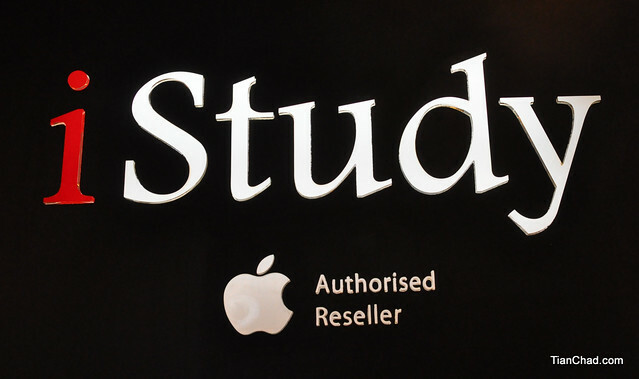 The centre’s authorized Apple reseller, iStudy, will be handing out RM1 deals of accessories, and Acer will be giving RM200 rebates for old computer trade-ins. 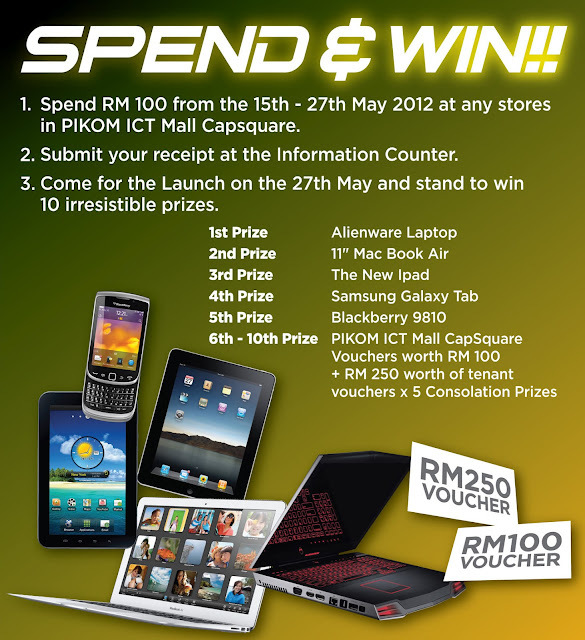 Like PIKOM ICT Mall CapSquare Facebook Page and register during the launch weekend to win. That's easy! 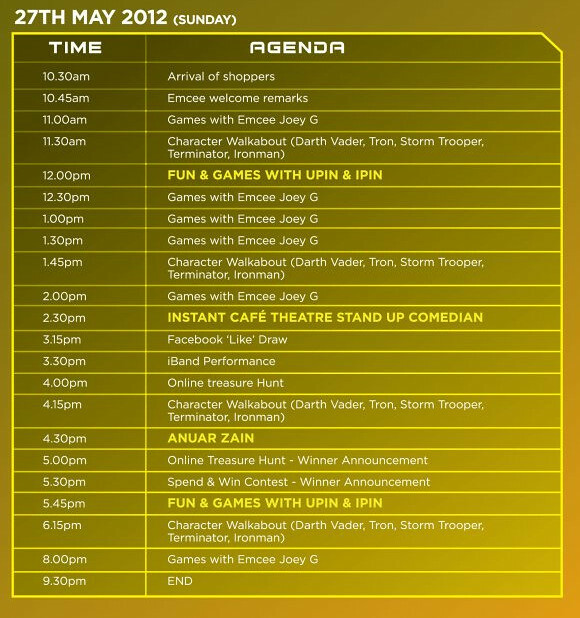 Spend RM100 or above during 15th-27th May 2012 and stand a chance to win awesome prizes! Maybe I should go there and find a good cover for my Samsung GALAXY Tab 7.7 and win another brand new gadget~! PS: You must come to the launch event to be eligible to win! No idea what to buy during the launch? No worries! 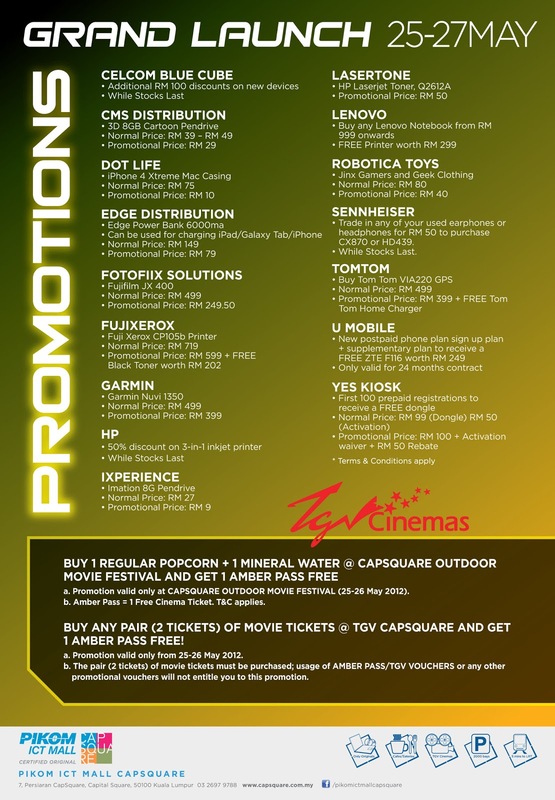 PIKOM ICT MALL CapSquare has already prepared a promotion list for you to decide. There will be promotions from TGV Cinema too. I wonder how the Amber Pass looks like. Capsquare is roughly 6 minutes away from the Dang Wangi Putra LRT Station by foot. You can also get off at the Bukit Nanas Station if you are taking the KL Monorail. Additionally, Capsquare is easily accessible via STAR LRT and the KTM Commuter. If you are driving towards Capsquare from outside the city centre, the following major roads are commonly used: Jalan Kuching, Jalan Parliament, and Dataran Merdeka. 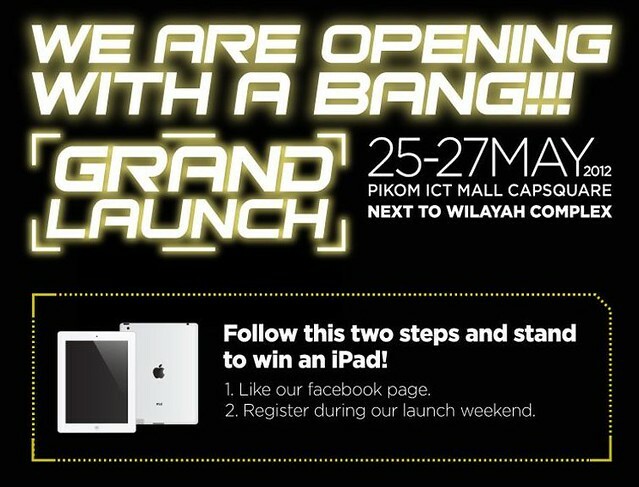 I will be @ PIKOM ICT MALL CapSquare next weekend to win the new iPad! If lucky can win Alienware Laptop! *woot* Come join me and we win together kay! For more details, visit www.capsquare.com.my.